I do not know why you have asked me to speak here today, nor do I understand what object you have asked me to represent in the celebration of your Independence Day. You celebrate freedom and justice, reflected in your Declaration of Independence, but that paper does not apply to me, or to any other animal that shares this earth with you. For your sake, I am pleased that you have reached such high levels of freedom. Would that sole document reflect your outlook for horses as for humans, I would be first to celebrate with you. Sadly, such is not the case, for horses are not included, nor are the safeties and securities granted to you held in common with those of us who have helped you build this great nation. This Fourth of July is yours, not mine. As you celebrate, I must mourn for the loss of millions of my kind to your lust for power and money. To halter me, tie a lead rope on me and pull me into this magnificent hall to speak of your freedom is once again a sample of your inhumane treatment and a mockery to the justice of which you are so proud. You, who have thrown the bodies of dead horses in stacks that reach to the heavens, ask one of us to tell you of the glories of America? I think not. For it is not your joy I hear, nor the fireworks booming in the skies. I hear the cry of millions of my kind, tied in backyards, stuck in dark, wet stalls, left unfed and unloved. I hear the plaintive moan of those being trucked thousands of miles to face a horrible death at your hands. As I look out at you, I see them and what you have allowed to happen to them in your name. On your Independence Day, the future of my kind looks far darker than ever before. Far worse than the conduct of those who occupied these seats in the years before you came, those of you who presently sit within this majestic hall now conduct yourselves with an arrogance that is both revolting and hideous. You have tied yourselves to the pockets of those who profit from the suffering of my kind, you make false statements on their behalf and refuse to represent those constituents whose vote brought you into this once hollowed hall of honor. I do not stand before you as the honored guest, representing the triumphant battles for freedom I fought with you. I do not stand as your partner in memory of our great history together as we conquered nations, fought our way to the west, plowed fields and fed millions with our combined labor. I will not, for I now know, as do those citizens who call me their friends, what you truly think of my kind. You who occupy these seats have trampled upon the Constitution for the right to pocket pieces of gold. You refuse to represent the horses of this nation when we turned to you. You have made fun, ridiculed and ignored those citizens you represent as they have pleaded our case before you, and for that I can say nothing positive about you, the system you represent or the freedoms you allegedly vowed to protect. Do I need to stand before you and argue that the slaughter of horses is wrong? That point is past. It is conceded and acknowledged in private and only disputed in public by the repetitious lies of those who profit from your murderous ways. Do I need to show you the truth behind the lies? They are known and open for you, if you are of the mind to look beyond the hands of those who give you money for your next reelection effort. Do I need to tell you of those citizens whom you allegedly represent who want you to stop the slaughter? Look at your call logs, your emails, your fax machines. Am I to tell you that it is wrong to have us stolen from our loved humans, to be beaten with sticks, shocked, transported without rest or water, shoved into kill chutes, terrorized and injured by captive bolts or guns, hung by our legs while we are still alive and sold by the pound when we are dead? There is not a man among you who would suffer to the point of death as we do, yet you deny us the right to be free from this horror. What then is your argument, that you have a divine right to our death? That your interpretation of dominion gives you a reason to kill us for the dollars it places in your pockets? Is that indeed your concept of God’s will? If that is your God, then those humans who love us are not a part of your world. Those days of intellectual debates are a thing of the past. You do not need to hear the arguments, nor do you need to see the light. Instead, you will feel the thunder, stand in the storm and be burned by the firestorm you created, for those humans that support our freedom are aroused and your hypocrisy toward the honor of your Constitution will bring your downfall. Do not ask me to celebrate with you, for I am not free. I am your slave, to be destroyed at your whim. 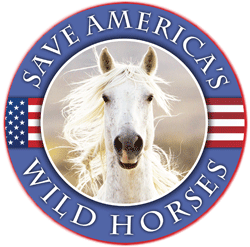 Only when you grant the right of the American people to turn their beliefs into laws that stop the insane practice of horse slaughter will I be able to stand before you in honor. Dear Pete, i have just read one of the most riveting speeches ever made !!! I cried through all of it, please do not make judgement of me and those who truly Love and respect you,, and no doubt we are many and strong and free willed, you have given to these many the power of enlightenment in a most positive way, we who are many will never forsake you !!!! we who are many will fight for your kind with every breathe we take , every waking moment is spent on your behalf we know of your perils, we who many know of your gifts you have brought and given so unselviously throughout the History to this seemingly Great Country, for which you have given your all, we who are many vowed to you and each other that as you have given your all we will give our all in your Honor and fight endlessly for your Freedom and peace!!!!!!! One Awesome wonderful Day this will Prevail !!!!!!! Pete you can count on it !!!!! This is the will of the We the People !!!!! they would depict the Devil in human form. Sorry to Pete and all others that humans seem to ever grasp that great Love that many of us have for animals. When you consider the human race as a whole, there are distinctly two types. Those that care and those that don’t. I also call them old souls and immature souls. The old souls have evolved past those that don’t seem to have that most elemental aspect of being human,- compassion and caring. I used to think what an oxymoron the word humane was in it’s suggestive definition since so much of humanity was anything but. Even the “Humane Slaughter Act” is such since there is absolutely nothing “humane” about “slaughter.” To me that would imply that there is such a thing as “compassionate annihilation” which of course would sound ridiculous but, actually exists. It’s called horse/animal slaughter! I have always been an extreme optimist in life. But, I have to truthfully say that the atrocities I have learned about concerning the issue of horse slaughter and the cruelties committed by humans against animals and each other have changed me. The world is definitely less beautiful and more scary to me and my quality of life has been damaged. As I am strongly spiritual and highly moralistically and ethically driven, it is without understanding and comprehension to me that people can feel and act so indifferently and in opposition to such. The reason for this, I believe, is that they have negative emotions blocking the truth,- selfishness, greed, apathy. They live a type of false existence and create their own sense of reality and truth. The only problem there is, when and if they decide to open their eyes, minds, and souls, will they have the courage to see their empty and vicious little worlds of deception, and will they be able to handle the truth of their beliefs and actions? This is why “We the People”, the majority who oppose horse slaughter and cruelties against animals, the ethically and moralistically driven, will never quit fighting to stop these injustices and “inhumane” acts. We will also win this battle as it is impossible to conceive otherwise. Because there is strength in numbers, the truth shall set you free, and there is no dark in light. Wow written well..and wonderful words Susan. I am with you on this……. Yes, Susan, there are at least two types of people. Many religions classify the duality as those who are possessed by “ego” – or self interest, and “soul” – or compassion. I like that you call the self absorbed “immature” and in many cases you are right. There are apathetic or uninformed types. They are immature. Then there are the those who try to justify their cruelty in dominionist terms. I believe slaughterers and those who want to “eat a new taste treat” of horsemeat feel entitled. In this country, where there is an abundance of food, we have much healthier options than any tortured, poisoned flesh. We can choose compassion over entitlement. Soul over ego. Light over darkness. Life over death. Thank you, Jerry and Pete. This will be shared with the international horse community HorseConscious, as it applies to the world of horses. Keep standing strong for the Horse. Thank you Pete. You horses and burros have a lot of truth to share with we humans. I only wish everyone could or would hear what you are saying because our world would be a better place if we all practiced a little horse sense. Thank you. Great words that depict humanity. We only think we’re independent we are servants to capital. How wonderful would it all be if we were all inhumane and horses ran the place. Wonderful article RT hope they can be free this year back on their land where they belong and NO MORE horse slaughter for horses. 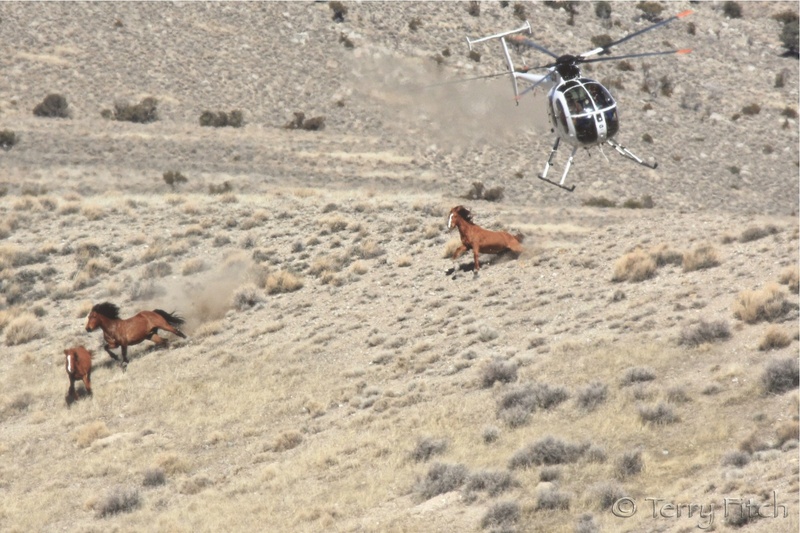 Horse slaughter needs to be banned this year! ASAP! I think we humans have a screw loose, we care about a dollar but not about horse slaughter, we care about freedom but not about horse freedom, we care about liberty but not about liberty for horses to free them from being sent thousands of miles to slaughter and to die horrible deaths away from their families and herds. To send them trucking away thousands of miles away from all they have known all their lives, to suffer the dreadful blows of being crammed into trailers too small for the amount of horses they have in them.